RDW110U - Palladium 4.5mm wide ladies wedding ring with channel set princess cut diamonds going all the way around. 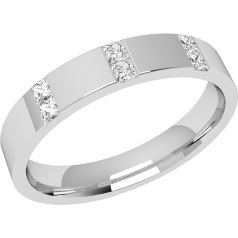 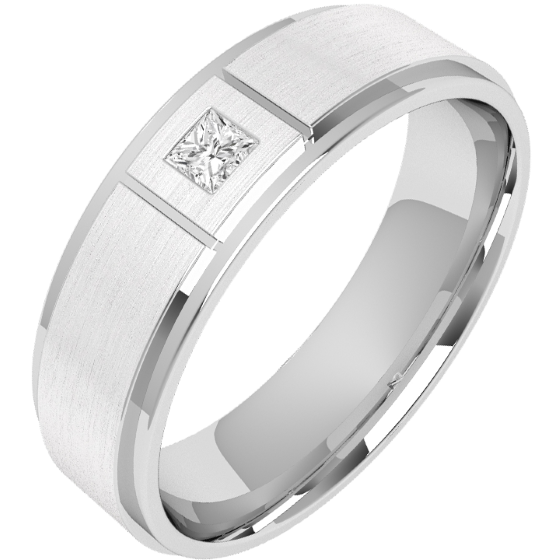 RDW149U - Palladium 3.5mm court wedding ring with 12 princess cut diamonds in a rub-over setting going all way around. 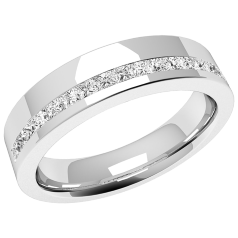 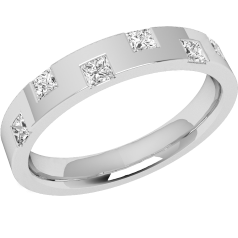 RDW151U - Palladium 3.2mm flat top/courted inside ladies wedding ring with 6 princess cut diamonds set on alternate edges.